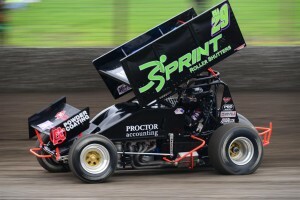 Remembering Tyson Perez | Talking Speedway, Speedway news from around the world! Tyson “Spud” Perez passed away July 21, 2010 at Seattle’s Harborview Medical Center. Described as “a big lovable oaf.” by Skagit Speedway announcer Kale Hart . In the US Tyson were spanner man, crew chief and longtime friend of Travis Rilat. Speedway families across the world remember those who have passed and the Tyson Perez Memorial is a very special way speedway keeps the memory of Tyson Perez close to the hearts of those he meant so much too. Travis Rilat has honored his friend’s memory with flying visits each year for the past 5 years to compete in this special event. 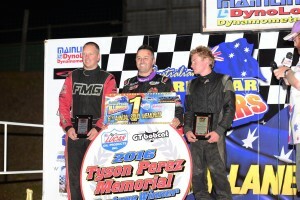 The Tyson Perez Memorial was first contested in 2011 and the inaugural race was won by Chris Solomon at Redline Speedway, Ballarat. 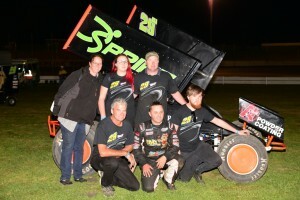 The 2016 race like those before was an emotional event and attracts entries from across South Australia, Northern territory and Victoria .Borderline Speedway at Mount Gambier was the venue for the 2106 race 27 cars were nominated for the 31 lap feature with $13,000 in the prize purse.Rilat was again driving the George Smetona car and he was crewed by Phil Seymour. A Main results: 1st USA 29 Travis Rilat, 2nd SA45 Jake Tranter, 3rd SA75 Chris Solomon, 4th SA33 Mark Caruso, 5th V7 Paul Solomon, 6th SA22 Chad Ely, 7th NT24 Jamie O’Neil, 8th V40 Dion Bellman, 9th V23 Jimmy Gardiner, 10th SA44 Daniel Evans, 11th SA18 Jed Bell, 12th V34 Brenten Farrer, 13th SA16 Jack Gartner, 14th SA57 Rory Button- DNF, 15th ACT49 Matt Reed-DNF, 16th V91 Brad Warren-DNF, 17th V4 Phil Lock-DNF, 18th V8 Corey Lincoln-DNF, 19th V65 Kane Newcombe-DNF, 20th V64 Eddie Lumbar- DNF. Photos supplied by Steve Walters- Snapperific Photography.